Through Billy Thompson’s contacts in the music profession, Thompsound Music is able to offer the services of some of the very finest session musicians from around the UK for your project. These session musicians range from Orchestral members from some of Europe’s finest orchestras to some of the best Jazz, Rock and Folk musicians the UK has to offer. In fact, using these Pros and potentially their contacts in the profession we feel confident that we can offer ANY instrument to ANYONE’s project ANYWHERE in the World! In the same way that Thompsound Music can travel to record your project at a destination of your choice, Thompsound Music can also procure the services of session musicians of your choice for your project. This could also mean that the session musician comes to Thompsound Music to record here or that it is all dealt with online. The recorded files are then made available to you using Dropbox or WeTransfer in whatever format is required, or added to the session. All dependent on the project of course. 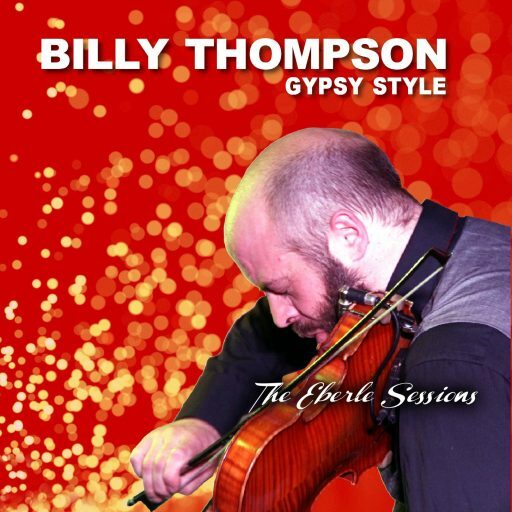 Thus far, most clients have chosen to use Billy Thompson’s string work on their projects. Go to the Portfolio page to hear examples of how this has worked for a while now. Mad Mike Spike – Viola. James Manson – Double Bass. Cass Meurig – Traditional Violin, Viola and Crwth. Rhian Bebb – Telyn Deires (Welsh triple harp) and Pedal Harp. Peter Lemer – Piano and Midi Sequencing. All styles. Huw Warren – Piano and Accordion. All styles. Karen Street – Accordion. All styles. Peter Lawson – Classical Pianist. John Wheatcroft – All Guitars. Jazz and Gypsy Jazz Specialist. Andy Mackenzie – All Guitars. Jazz and Gypsy Jazz Specialist. Eryl Jones – Gypsy Jazz, Mandolin and Banjo. Dave Elwyn – Blues, Rock, Rhythm. Wyn Pearson – Rock, Hybrid Picking, Rhythm. Tom McKinney – Classical Guitar. Colin Tommis – Classical Guitar. Owen Lloyd Evans – Double Bass. Bill Coleman – Double Bass. Dave ‘Taif’ Ball – Fretless/Fretted Bass. Greg Robley – Fretless/Fretted/Electric Stick Bass. James Manson – Classical Double Bass. Steve Roberts – Jazz, Rock, Everything else. Alex Moller – Rock, Pop, Folk, All sorts. David Watkins – Rock. All sorts. Gwyn Maffia – Rock, and all manner of Percussion. Richard Kennedy – French Horn. Beccy Goldberg – French Horn. Shona Brown – Flutes including Chinese, Bulgarian, Slovak and Celtic. Brian Gulland – Bassoon and all sorts of other wind instruments. Joanna Patton – Classical Clarinet. Gordon Macey – Flute, Oboe, other instruments. Rhian Thompson – Solo or Backing vocals. Brian Gulland – Baritone, Narration.